When it comes to food waste, buffets are a bit of a conundrum. In theory, letting people take what they want should mean less gets wasted. As any teenager who has ever eaten out with their grandma will tell you, restaurant portions aren’t exactly one-size-fits-all: Plenty of diners leave something on their plate at the end of a meal. A buffet should sort this problem out, allowing everyone to take exactly what they plan to eat. However, in reality, we’re all gluttonous pigs with eyes bigger than our stomachs who regularly grab more than we want. And all this ignores buffet’s other big waste issue: Since the food isn’t made to order, whatever is left sitting on the line or in the kitchen at the end of the meal service is basically waste. In the end, buffets probably do more harm than good. But as the Chicago Tribune recently profiled, a company called BuffetGo is trying to alleviate the latter problem of buffet waste. The Los Angeles-based startup founded in 2014 partners with buffet-style eateries and then, through their app, alerts users of special closing time offers, allowing people to purchase takeaway meals at an extremely discounted price to make sure those final bits of food get eaten instead of tossed. BuffetGo typically gives customers a window of about 15 to 30 minutes to come grab their grub, selling these meals for as cheap as $2 a pop. The concept is extremely similar to the European brand Too Good To Go, which we wrote about last month (interestingly, both companies originally formed in Denmark), and the benefits are nearly identical. Customers get a good deal, restaurants get additional revenue on food that otherwise would have simply been thrown out, and the environment wins because less food gets wasted. Along the way, BuffetGo gets their cut which means more jobs and jet boats or whatever it is startups do with their money. 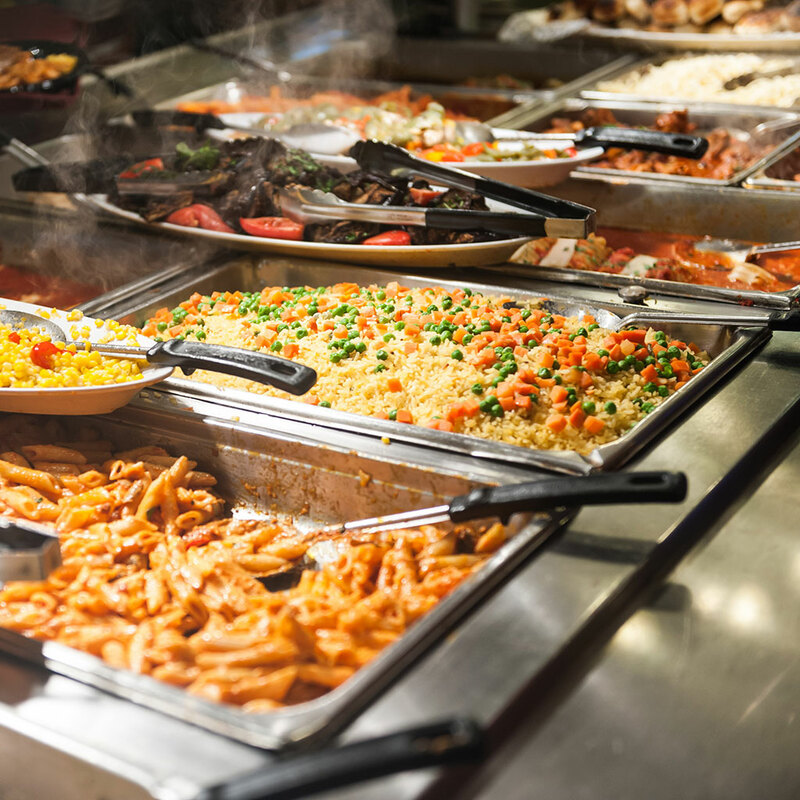 Of course, BuffetGo doesn’t solve that first issue of buffet food waste – the “we’re all horrible gluttons” problem – but being respectful about what you take during all-you-can-eat situations should just be common sense. If you need some app going off every five minutes notifying you not to take extra prime rib perusing a buffet, you’re probably beyond help anyway.